The Rebel Sweetheart. : Spotlight | Clio Kill Black Waterproof Brush Liner + Salon de Cara Backcomb Cara Mini. 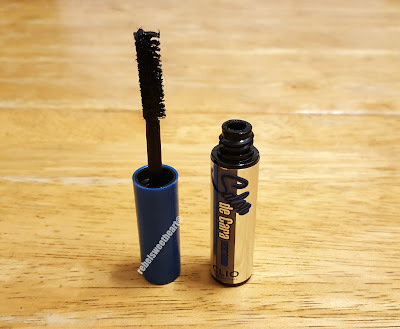 Spotlight | Clio Kill Black Waterproof Brush Liner + Salon de Cara Backcomb Cara Mini. 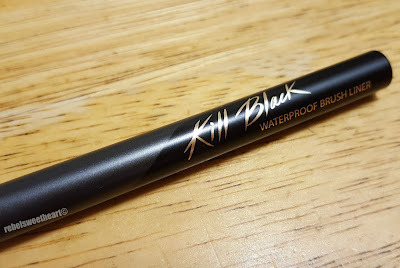 Earlier this year, I wrote about the gem that is the Clio Kill Black Waterproof Pen Liner. I was so impressed with its 12-hour wear time and its ease of use that I bought another Clio Kill Black liner during my previous trip to South Korea. 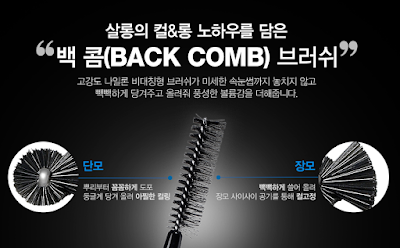 Clio Kill Black Waterproof Brush Liner + Salon de Cara Back Comb Mini. I chanced upon this set while I was shopping in Apgujeong. 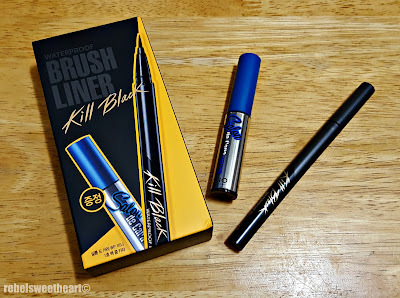 They were on sale for just 12800 won (around Php 520 or $12) - a pretty good deal considering that the Clio Kill Black Waterproof Brush Liner, on its own, retails for 15000 won. And it's like I got the mascara, albeit in mini size, for free! Product description at the back of the box. 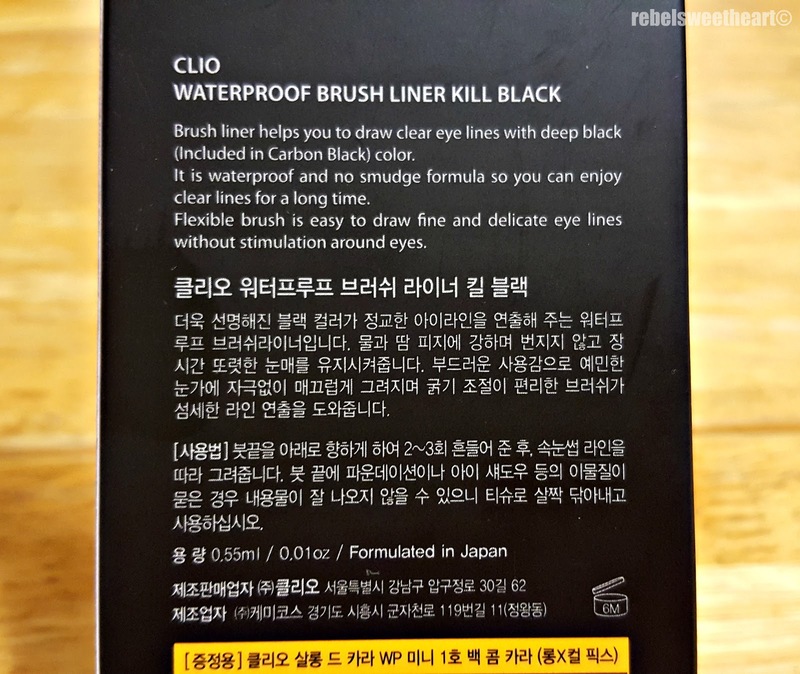 The Clio Kill Black Waterproof Brush Liner boasts of a 1 centimeter brush that tapers to a very fine tip. Its bristles are quite flexible, which allows you to draw sharp, immaculate lines without much difficulty. Signature black pen with gold lettering. I love how the brush can draw highly pigmented 'carbon black' lines with just one stroke. 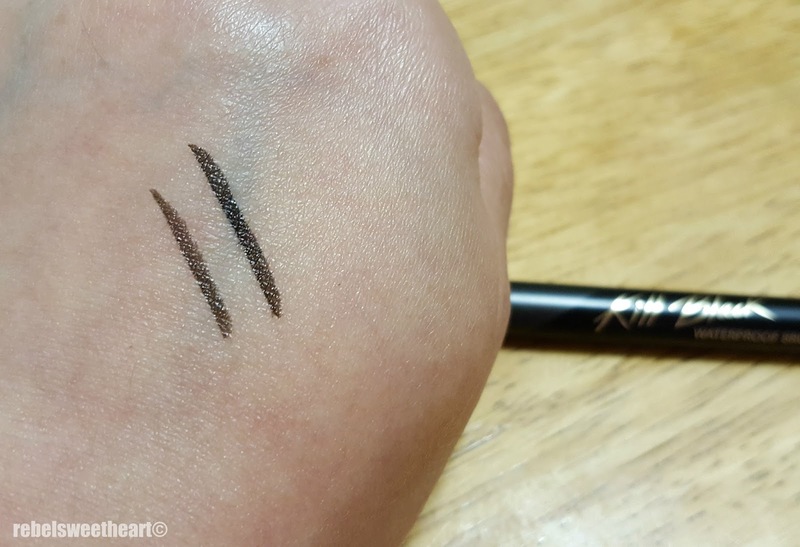 If you prefer thicker, bolder, more dramatic lines, you can easily build up color with this brush liner without having to worry about putting too much pressure or tugging too much against your eyelids. The brush is velvety soft, glides on smoothly when applied, and feels light on the skin. 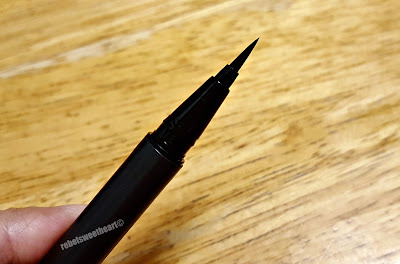 You can hardly feel the nib as compared to Clio's Pen Liner. Left, swatched once. Right, swatched twice. Now here's the Salon de Cara Backcomb Cara, in a smaller 4mL tube. 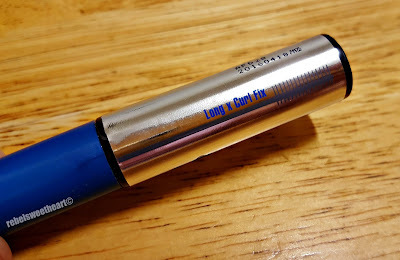 Its full-sized version comes in an 8 mL tube and retails for 12600 won (around Php 520 or $11). 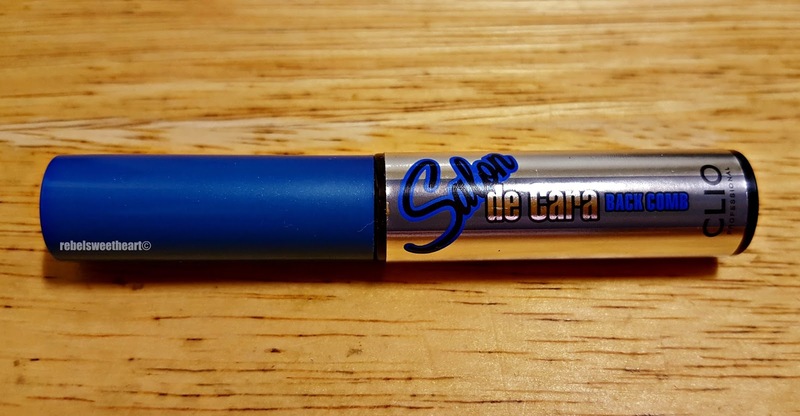 I find this mascara very quirky because of its brush. As you can see, one side of the mascara brush is long, while the other is flat. 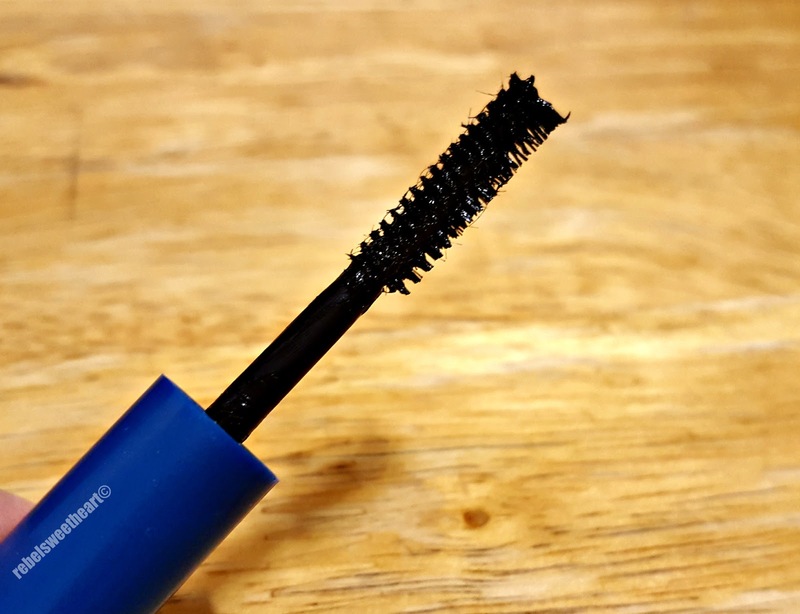 Turns out, this mascara is patterned after a backcomb brush similar to the ones you see at salons, and often used for styling hair with lift and volume. 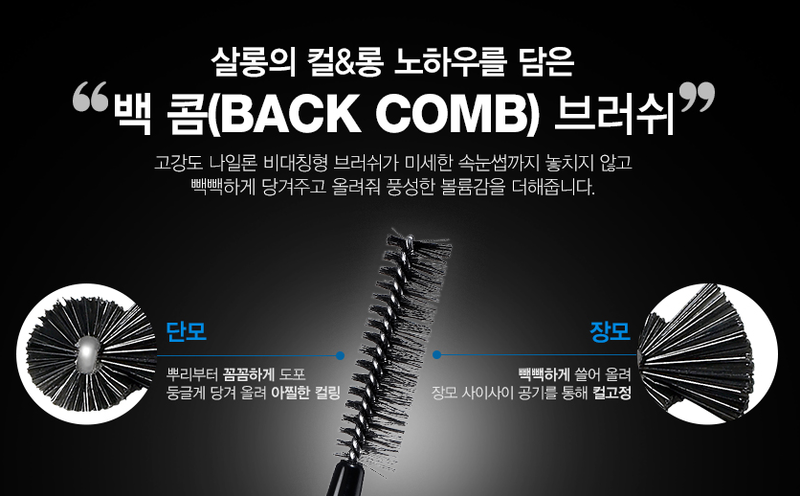 Inspired by the backcomb brush. This unique, double-sided brush has microfibers that attaches to each lash for luscious length (using the longer comb side) and intense volume and definition (using the shorter round end). I love its waterproof, smudge-proof formula, and how it really does add length and volume to your lashes. However, I find this mascara a bit difficult to remove. For the most part, a makeup remover would suffice in taking away all the gunk off my face. 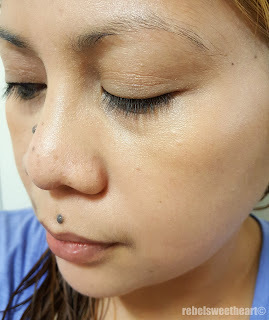 But this mascara seems to be a tad too resilient, as I still feel traces of it on my lashes even after using a makeup remover and facial cleanser. Seems like I will be needing a mascara remover for this particular product. Anyway, here's the eyeliner and mascara in action. Much like the pen liner, I was blown away by the wear time of both the brush liner and the mascara. Similarly, I used both products for the first time on the day we flew back to Seoul. 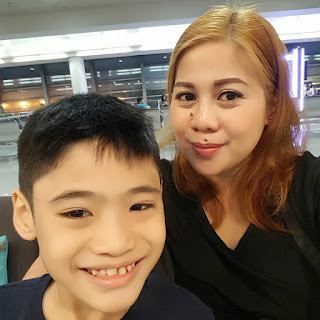 My winged eyeliner was on fleek for more than 13 hours - how awesome is that?! My mascara stayed put and held the curl for about the same period of time too, despite the power nap that I took during our flight. And because Clio never fails to amaze me with their eye makeup, I will most likely be buying more of their products the next time I go shopping. I am leaning towards the Kill Brow Tinted Tattoo, because as you know, my eyebrows mean everything to me. Haha! I love how thick that eyeliner is! I'm a huge fan of wearing black mascara, eventhough my hair is light brown. I'm so clumsy with liquid eyeliner! It gets everywhere. All over my pillow, all over my clothes! Wow! These are both awesome products, love the staying power. 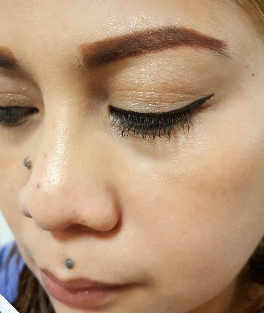 I wouldn't mind giving that liner a try after I finish my gel liner. What a pretty pictures! I've never heard about this brand before, and their products are really amazing! I would love to try it. These are super nice, I'm more of an eyeliner fan so I'm definitely interested in the eyeliner! I love that it glides on smoothly! Looks like a great beauty product! Thanks for sharing the review!